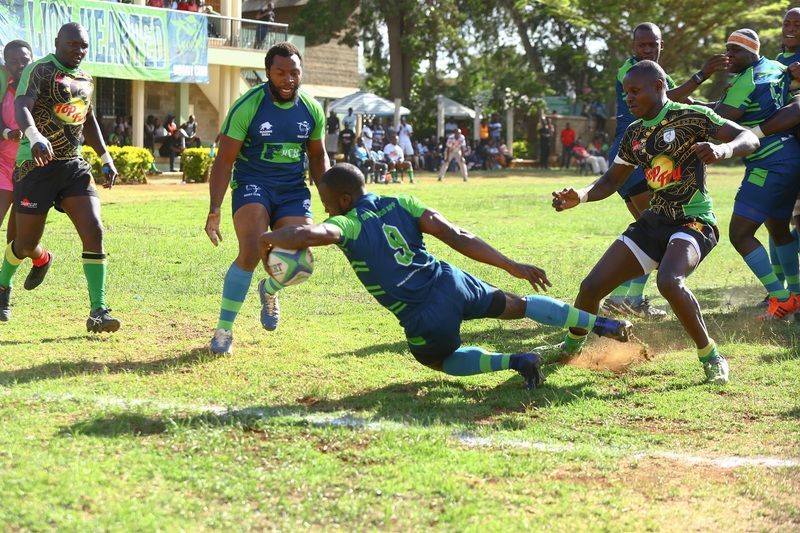 Kabras Sugar and KCB kept their 'double' dream alive after progressing to Enterprise Cup semis with wins over Nondies and Top Fry Nakuru respectively on Saturday April 13, 2019. Kabras beat Nondies 21-11 with KCB seeing off Top Fry Nakuru 36-18 at Ruaraka. Both sides are seeking to win both Kenya Cup and Enterprise Cup after recently booking Kenya Cup home semifinals. KCB will host Impala Saracens after the latter whitewashed Mwamba 71-19 while Kabras will take on Kenya Harlequin who beat Blak Blad 55-0 at RFUEA Grounds. Michael Wanjala, Moses Amusala and center Stafford Abeka went over for KCB as they led 19-06 at the interval. Geoffrey Ominde and Don Aluoch scored Nakuru's two penalties within the first 40 minutes. Francis Mwita, Issac Njoroge and Brian Nyikuli scored cinsecutive tries for KCB between 46th and 65th minute as Walter Okoth and Antony Oyugi went over in the 70th and 79th minute for Nakuru. In Kakamega, Fidel Oloo got one against his former employers who ran in through tries from Charles Mokua, Nick Barazza and Brian Tanga.Half-back Martin Juma kicked in two penalties.